She said it was all make believe, but I thought you said maple leaves. And when she talked about the fall I thought she talked about the season, I never understood at all. 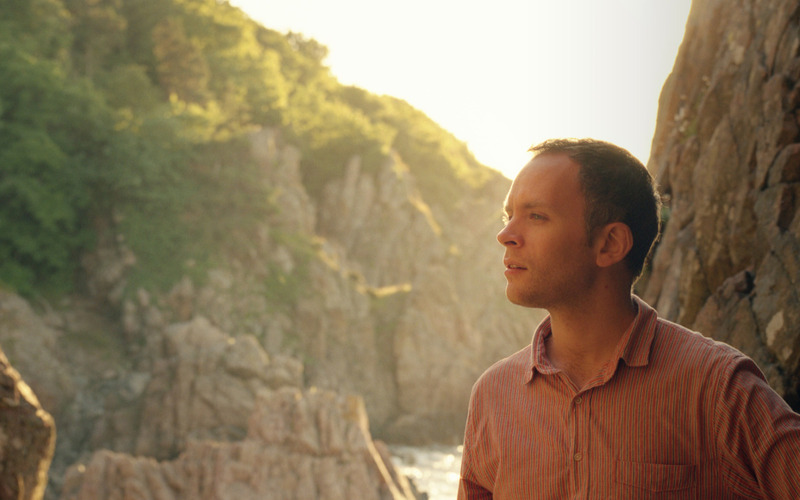 Jens Lekman (pronounced "yens lake-man") is a 30 year old Swedish pop musician currently based out of Gothenburg, Sweden. Lekman began his music career at 14 while playing bass in a cover band and soon thereafter began writing his own material. With crooning, romantic vocals Lekman has been compared to singers such as Morrissey, Scott Walker and Jonathan Richman. His music, dense in instrumentation, utilizes stringed instruments, warm vocals, acoustic guitars, bells, pianos and brushed drums. A modern singer with a vintage feel, Lekman's unaccented English vocals are the center of his sound. Assuming the moniker Rocky Dennis, Lekman released his early straight to CD-R solo debut in 2000. In 2004, Lekman dropped the Rocky Dennis moniker and released his first album under his real name. With a particular focus on EPs, Lekman has released 19 works on the LP, EP and single formats since 2000. Lekman has has two LPs available on Secretly Canadian; When I Said I wanted To Be Your Dog (2004) and Night Falls Over Kortedala (2007). His current EP An Argument With Myself, available on Secretly Canadian Records, was released in September 2011. With some people, it's tough to tell where the sarcasm and irony ends and the real person begins. Swedish songwriter Jens Lekman's songs are like that. You never know if his often-sappy songs are genuine, or ironically schmaltzy. Listen to the man enough, and you get the sense that Lekman himself doesn't know. Frankly, it doesn't matter. Lekman's songwriting is so good, he tricks you into abandoning what you think a cool pop song written in the 21st century should be, and convinces you to enter the world of part fact, part fiction that make up his narratives. After releasing a string of EPs, singles and albums in the early 2000s, Lekman became a minor celebrity in Sweden and developed a modest fan base in indie circles around the world. Built on samples and a carefree spirit, his stunning 2007 album Night Falls Over Kortedala helped cement his standing as one of the best songwriters working today. Lekman samples sweeping strings and orchestral flourishes from decades-old pop songs and croons over it with his deep, indie lounge singer vocals. This may sound cheesy, and it can be, but that's one of his strengths. He darts suddenly from deeply emotional to playful, like in “A Postcard to Nina,” a song that uses hilarious detail to tell the story of the time his lesbian friend asked him to pretend to be her boyfriend at a family dinner. Now after a four year hiatus, Lekman is back with the An Argument With Myself, his first new release since 2007. Clocking in at 18 minutes, the five song EP is short on time, but long on charm. The title track is a romp through Lekman's stream of consciousness as he walks down a street in Melbourne, Australia. It's a more straightforward pop song than his past work, but just as witty. “Waiting for Kirsten” tells the story of Lekman (probably fictitiously?) stalking actress Kirsten Dunst when she visited Gothenburg, Sweden. It's quintessentially Lekman, amusing anecdotal details sung sweetly over ukelele and weeping strings, transformed into something much more powerful.